Increasingly, day by day the number of businesses using WordPress to build their first site is growing rapidly. Most of them are first time WordPress users and to keep the costs in check they resort to not outsourcing the project to highly skilled WordPress design agencies and build it themselves from scratch. Since they aren’t aware of the various must-have WordPress plugins to equip their site with, they are missing out on a whole lot of things – from analytics, SEO, caching and CDN to lead generation and automated social media marketing. In this post, I will be sharing the most useful WordPress plugins for business websites. Jetpack simplifies managing WordPress sites by providing you with visitor stats, security services, images CDN, downtime monitoring and helping you get more traffic. Jetpack is an amalgam of various plugin functionalities. Google Analytics is a widely used web statistics tool from Google. gAnalytics plugin brings the key statistics right into your WordPress dashboard. This allows you to track your blog easily and always stays up to date with the newest features in Google Analytics. Also, this is the most popular premium Google Analytics plugin for WordPress. WP Rocket is a caching plugin which creates an ultra-fast load time, essential for improving Search Engine Optimization and increasing conversions. Other features include but not limited to – cache preloading, images lazyload, static files compression, etc. Also Read: How to Optimize WordPress to Reduce Server Overload. OptinMonster helps you grow your email list by converting your website’s visitors into subscribers and potential customers. This is the only plugin you will ever need to generate quality leads on your WordPress site. Quform is an advanced WordPress plugin that allows you to quickly and easily build multiple forms with total control. If it’s a complex quote or booking form or just a simple contact form, Quform will allow you to do this without touching any code. In a few clicks, you will have a fully functional form. It’s that simple. MailChimp is one of the best email marketing service providers. Using MailChimp you can build email lists send emails to your subscribers. Setting up MailChimp is quick and easy. It comes with built-in tools to add sign-up forms and also works well with lead generation software like OptinMonster. Install the Chimpy – MailChimp WordPress plugin to set it up in an instant. Though WordPress is already optimized for search engines (SEO) out of the box, it doesn’t mean it cannot be improved further. The plugin is the ultimate tool to optimize your website. 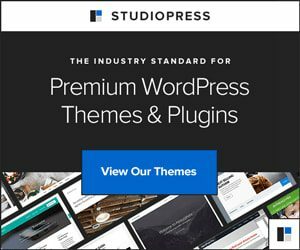 It contains all the features that you would expect to find in dozens of different WordPress plugins along with unique features that you just cannot find anywhere else. With nearly twenty-thousand sales and a 4.5 out of 5-star rating on Codecanyon, this plugin is the number one security plugin you will ever need to protect your site from crackers. Also Read: How to Make WordPress Hack-proof. Justified Image Grid is a powerful and responsive WordPress gallery plugin, expertly designed to showcase your images in the most beautiful and authentic way. Unlike many gallery plugins, Justified Image Grid for WordPress organizes your images into a perfectly balanced horizontal photo grid that draws the eye from left to right, just as you would read a narrative. Buffer allows you to share your content at the best possible times throughout the day so that your followers and fans can get to see your updates more often. Using Buffer, you can get the most out of each post. IFTTT allows you to put the internet to work for you by automating WordPress and social media. This lets you make the most out of your time. Knowledge base WordPress plugin helps you build customer self-service helpdesk in minutes. Create a resource of helpful articles and answer a popular customer question. Our customers use knowledge base as customer support centers, extensive FAQs, products or service documentation, internal company documentation, wiki and much more. Yellow Pencil provides everything that you need for customizing your site design. The plugin comes with advanced features like visual resizing, drag & drop, measuring tool as well as a ton resource that background patterns, sweet fonts, and trend color palettes also it has an advanced responsive tool which allows you customize your site for any screen size. Visual Composer is easy to use powerful drag and drop page builder that will help you to create any layout you can imagine fast and easy. And the best thing is – no coding skills required to play around with visual composer. Google Apps for Work is a suite of web applications like email, docs, spreadsheets, hangouts, online storage, vault etc. created by Google. This powerful suite of office applications is cheaper, easy to deploy and hassle-free. Most importantly, it allows you to use your own business domain name for emails. You can try Google Apps for free with its free trial. Freshbooks is the best cloud-based small business accounting software which allows you to send invoices, track time, manage receipts, expenses, and accept credit cards. SEMRush is a tool that is specific to finding profitable keywords. We’re living in a time now when SEO, is at the forefront of a successful blog. SEMRush is a program many new and older bloggers are using to optimize their sites, create the content their audience wants and create a better experience for their visitors. This Rich Snippets WordPress Plugin helps you to generate search results by using structured microdata (schema.org). According to the schema.org website, search engines including Bing, Google, Yahoo! and Yandex rely on this markup to improve the display of search results, making it easier for people to find the right web pages. BirchPress Scheduler is an appointment booking and online scheduling plugin that allows service businesses such as spas, yoga studios, contractors and photographers to take online appointment bookings. Merchants can embed a booking form on a page or post on the website, and customers can see service availability and book an appointment online directly. It is an effective tool to manage appointments and staffing schedules. Testimonials allow you to showcase your previous clients and their feedback about your services or products. People usually love to hear what others have to say about your business. It will also help you gain trust and build lasting relationships with your clients. Testimonials showcase plugin makes it easy to add customer testimonials on your WordPress site. Slack is team management, productivity and communication tool which can be used to communicate with teams spread across different time zones and locations. Slack is more convenient than email and it can integrate with tons of other online tools. This plugin allows you to auto-post high quality targeted articles, products from Amazon and Clickbank, videos from YouTube, Vimeo and DailyMotion, feeds, images from Flickr and Instagram, Pinterest pins, tweets, Facebook posts, Craigslist classifieds, iTunes apps/songs/ebooks/movies/podcasts, Envato items and SoundCloud songs to your site. This is especially useful if you are starting out new and do not have enough resources to hire a content writer for your site. Thus I hope you find this comprehensive list of WordPress plugins useful for your business website. Please do share this list with your friends, colleagues or acquaintances who are interested in building their own business site using WordPress. Hey, for affiliate marketing – is there any ideas on improving conversions on a varied site? I own a image sharing site and as such it’s likely to match products to the visitor. Many thanks. Hey Madlyn, I would suggest you to try using AWeber Email Marketing service to send out automated newsletters to your subscribers periodically. Also, do make sure that you include your affiliate links within the content without spamming. Another option would be to install the Better Related Posts Widget on your site to increase the chances of people clicking through your other posts/products. Now here’s a bonus plugin for your site – Image Sharing Pro which will help your site’s visitors to share your images directly to eleven popular social networks – which means free traffic for your site! Great, thanks for sharing your recommendation with us.